The 300 Club is a weekly fundraiser to cover the day to day costs of running Hull Scorpions Baseball Club. After discussion with other clubs up and down the country the level of player contributions to their clubs ranged from £150 to £250 per year. 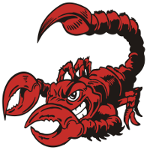 Scorpions decided to operate at the lowest point of this range, conscious not to put an unreasonable financial barrier in place which would deter current and new players. The 300 Club is a vehicle to enable players and coaches to play for Scorpions free of charge. It is a weekly draw where participants pay £1 per week and are allocated a number between 1 and 300. Each week a number is drawn and the winner receives 50% of the prize money. For each number entered 50p goes to the prize money and 50p goes to Scorpions and is allocated against your fees. Therefore, as a senior player, if you can get 6 family members or friends to commit to £1 per week it enables you to play for Scorpions for free. To make this work efficiently all monies should be paid by standing order to Scorpions bank account. This can be done weekly or monthly. Most people will set up the standing order from their own account and collect the money from their friends/family. The draw takes place once a week and results are shown on Facebook, Twitter and on the Scorpions website.